Specialists for non-contact temperature measurement. “Everthing from one source” : R & D, manufacturing, sales and service. DIAS have more than 20 years of experience in the field of non-contact temperature measurement. Model Series PYROVIEW compact+ and PYROVIEW protection DIAS pyrometer series PYROSPOT for punctual non-contact measurement of temperatures from -40 °C to 3000 °C. 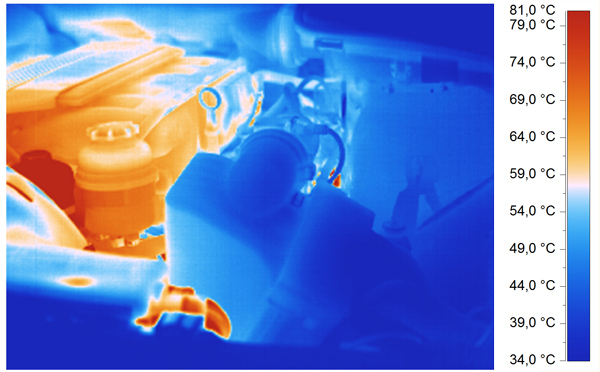 DIAS infrared line cameras PYROLINE – the reliable alternative to linescanners – for the fast non-contact measurement of temperature profiles from0 °C bis 1300 °C . Model series PYROLINE compact and PYROLINE protection Pyroelectric infrared detectors and arrays PYROSENS for gas analysis, spectroscopy, motion sensors and temperature measurement. Individual DIAS infrared systemsfire detection, steel mills, glass plants or traffic monitoring. DIAS infrared system solutions and applications High quality calibration series PYROTHERM for testing and calibration of thermal imagers and pyrometers in the temperature range from 15 °C to 1500 °C. You get the complete solution line-up of non-contact temperature measurement technology from one source. DIAS develops and manufactures its products in Germany. DIAS offer you an individual and professional consulting service around your measurement task. As a specialist for costumized system solutions DIAS realize complex projects including project planning, software, installation, startup and maintance. In addition, DIAS offer a variety of accessories, special products from simple temperature switch to complex system solutions, for example, for early fire detection, software, calibration sources and services. DIAS also develop and manufacture special infrared sensors and arrays, not only for non-contact temperature measurement, but also for gas analysis and spectroscopy. Principle: Measure at wavelengths as short as possible to minimize temperature measurement errors resulting from emissivity inaccuracies.